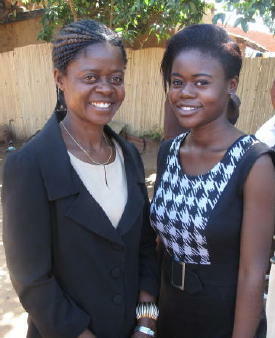 Pilirani wants to become a lawyer which has been her dream since she was a child. She has wanted to promote equality and justice in the workforce. She would also like a degree in business for commercial law. She would like to work for a law firm to correct wrongdoing, sort disputes and provide a starting point for interns and job opportunities for graduates. As one of her goals, she would like to write a book on law enabling exposure to the writing community. She believes a law degree will help her accomplish more in the future because of the critical and reasoning skills involved with it- a very important quality needed in the work field. By studying law especially at a professional/ doctorate level, she will be able to accomplish what she would like to do in life. Both her mother Mwayi and Pilrani thank LifeNets for the scholarship.